I can hardly call it a game review yet, because I haven’t gotten that far. But, after playing it again for a few hours today, it’s dawned on me that this game needs to be mentioned. It needs to be discussed, experienced. It needs to be shared. I spoke about my recent infatuation with Indie Games and how I’ve begun to look at them with a new pair of eyes. As it came on sale in Steam’s Black Friday dash, I realised that The Long Dark might be worth looking into. One look at the trailer and hearing Jennifer Hale’s voice immediately told me that this game was going to be different. A Guinness world record holding voice actress wouldn’t bother aiding a development that was subpar. Or that was the justification that I used to myself when I pulled out my credit card. Made by independent studio Hinterland, The Long Dark is still in development and only available on Steam’s Early Access. The game, that only has its Sandbox mode enabled so far, costs about $20, though if one keeps an eye out, you might able to find it on special. I paid about $13 for it, but a mate of mine got it for as cheap as $10. My discussion of the price is hardly relevant though, because even uncompleted, this game is still worth it and I’d have been satisfied with my purchase regardless of whether the developers evolved it further or not. What pulled me to the game was the tone. Even in the first trailer one could feel the isolation of the protagonist, the vast land and impossible task of surviving dwindling in the distance with the threat of wolves, dehydration, starvation and hypothermia mere moments away at any given point in time. The Sand Box mode has got no story, simply one goal and that is to survive the cold night. I thought that it would be easy, but I was mistaken. Even with the graphics not being AAA style, let-me-see-that-blemish-up-close, detailed it comes to life in a way that threatens to overwhelm all of one’s senses. The difference between footsteps on tar and snow, on ice and gravel. The breath that moves before you as temperatures threaten to fall further than your insufficiently clad body can deal with. The wind, the darkness. The silence. It’s summer in my country at the moment and even I can feel the breath of cold air on my neck and the need the shield my face from the snow as I move the character forward. 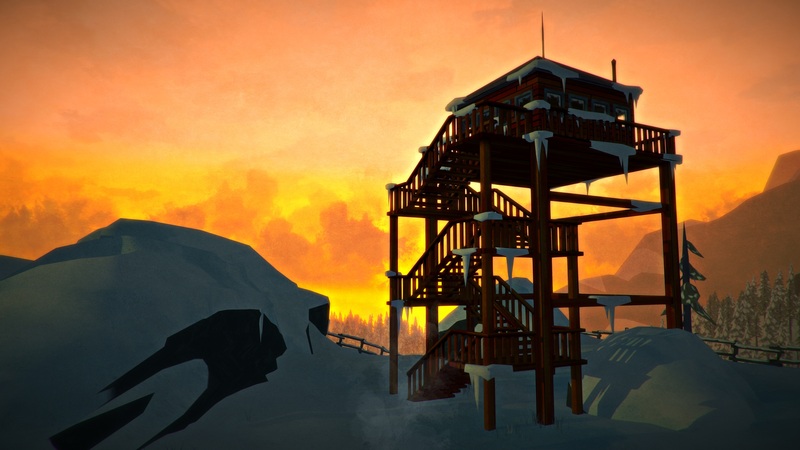 The Long Dark is a fest of immersion. Still being in development, it is not without its flaws. I find sometimes that attacking wolves would levitate either to the left or right before they attack me. That makes them particularly hard to avoid or shoot. I’ve encountered one or two objects that I can’t pick up and I really want the developers to consider actually putting something worthwhile in a locked storage unit that I risked life and limb to open. I also think that the wolves are glitchy in general and needs to be tweaked because they are damn hard to kill. The mechanics of the wolf attacks just doesn’t work and sadly, guns and ammo are very hard to come by. I’ve spend hours exploring the Coastal Highway without finding one sniff of a rifle. That part can be frustrating because inevitably, the protagonist will have deal with the dark beasties. But, these complaints are but a bitter drop in the ocean of satisfaction. I love this game, I love the isolation, the loneliness, the sombre tones and realisation that one is the only person in a frozen wasteland that echoes of lives scattered around like frozen corpses. I look forward to seeing what the developers will be doing in the future but even if it is absolutely nothing I will come back face the darkness again and again and again.